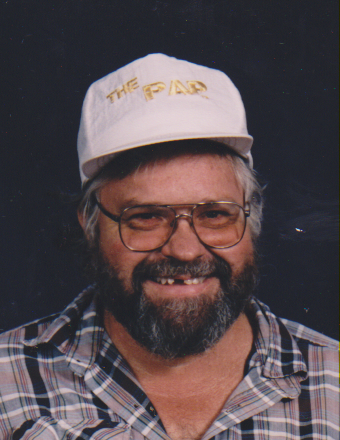 Joseph Lorenzo Yocum Jr., 77, of Neffs, passed away on Friday, August 31, 2018 in Wheeling Hospital. He was born on March 22, 1941 in Bellaire, a son of the late Joseph L. and Barbara (McVay) Yocum Sr. He was a member of the Community of Christ Church. Joe was formerly employed by Powhatan #3 coal mine and was a skilled glass worker at Rodefer Gleason Glass Co. for many years. He is survived by his children, Twila Yocum of Sherrard, WV, Barbara Underwood, of Mt Vernon, OH, Joseph L. (Nicole) Yocum III of Neffs and Shannon (Keith) Hellock of Champion, OH; a brother, William Yocum; 9 grandchildren, Crystal (David) Otto, Jennifer (Josh) Coleman, Denessa (Andrew) Rouse, Cory Ireland, Morgan South, Cadence Yocum, Liliana Yocum, Joseph Yocum IV, and Connor Hellock and 7 great grandchildren, Gabrielle Otto, Gregor Coleman, Lorelai Coleman, Penelope Rouse, Aleiya Ireland, Owen Ireland, and Oliver South. Joe was preceded in death by his parents; his wife Marjorie (Roush) Yocum in 2005; three brothers, John, Robert, and Thomas Yocum and an infant great grandson, Lincoln Rouse. A memorial service will be held Friday at 5 pm in the Community of Christ Church, 56060 High Ridge Rd., Bellaire, OH 43906, with Elder Jeff Cross officiating. The family is being served by Wilson Funeral Home, Bridgeport. In lieu of flowers the family asks donations to be made to Ruby Memorial Hospital, 1 Medical Center Dr., Morgantown, WV 26505 in Joe’s memory.